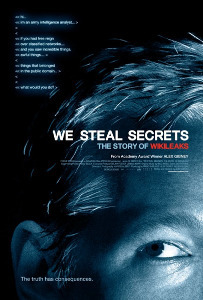 "We Steal Secrets - The Story of WikiLeaks" by https://collider.com/we-steal-secrets-the-story-of-wikileaks-trailer-poster/. Via Wikipedia. “We Steal Secrets – The Story of WikiLeaks” by https://collider.com/we-steal-secrets-the-story-of-wikileaks-trailer-poster/. Via Wikipedia.